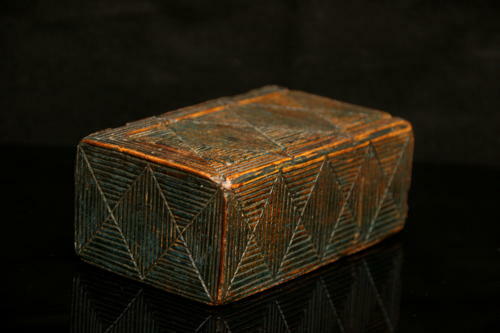 19th Century Treen Painted box with geometric carving . Lovely origonal Paint on this Geometrically carved all over box. Possibly American, early 19th century.